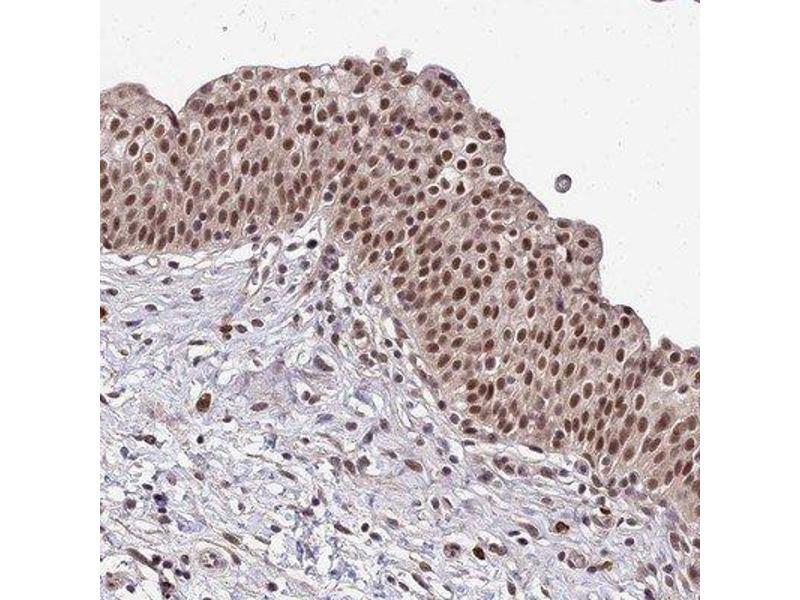 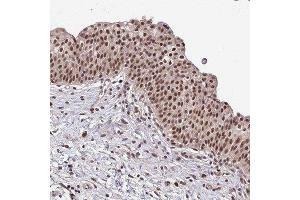 Immunohistochemistry-Paraffin: RPB9 Antibody [NBP1-92344] - Staining of human urinary bladder shows moderate nuclear positivity in urothelial cells. 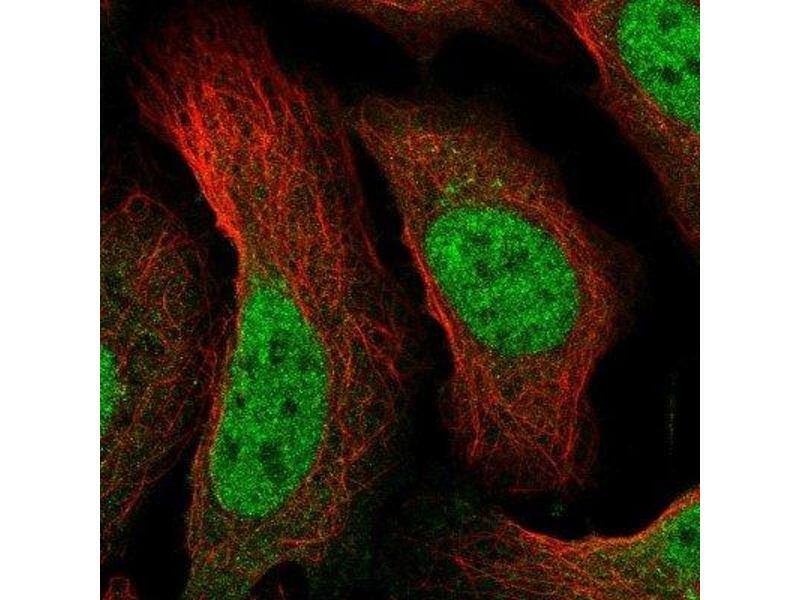 Immunocytochemistry/Immunofluorescence: RPB9 Antibody [NBP1-92344] - Staining of human cell line U-2 OS shows positivity in nucleus but not nucleoli. 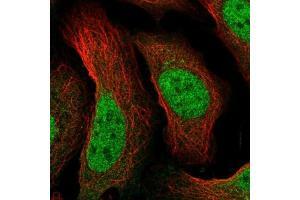 Immunocytochemistry/Immunofluorescence: RPB9 Antibody - Immunofluorescent staining of human cell line U-2 OS shows localization to nucleoplasm. 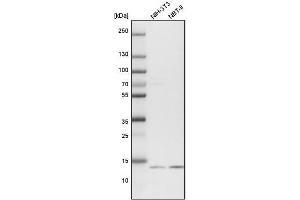 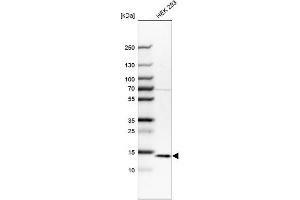 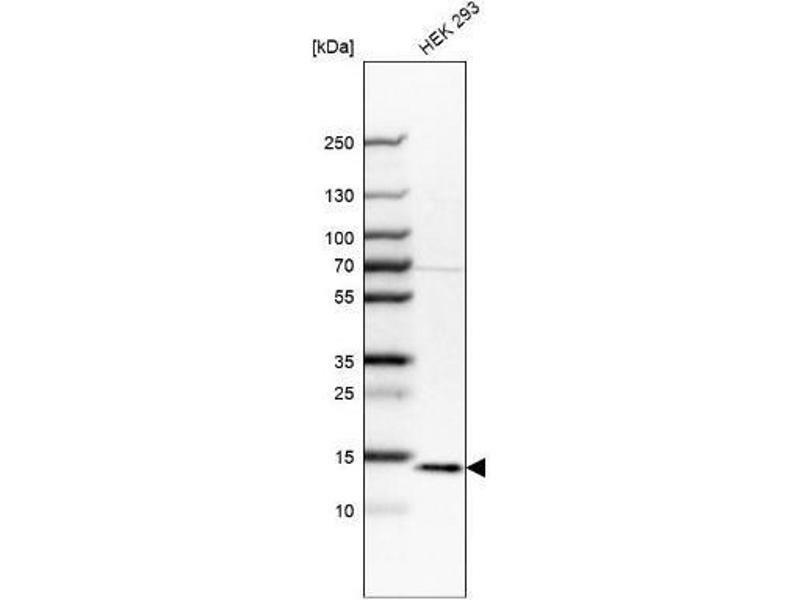 Western Blot: RPB9 Antibody - Analysis in human cell line HEK 293. 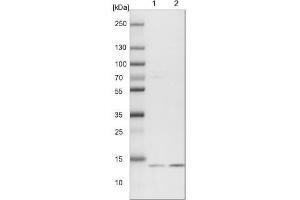 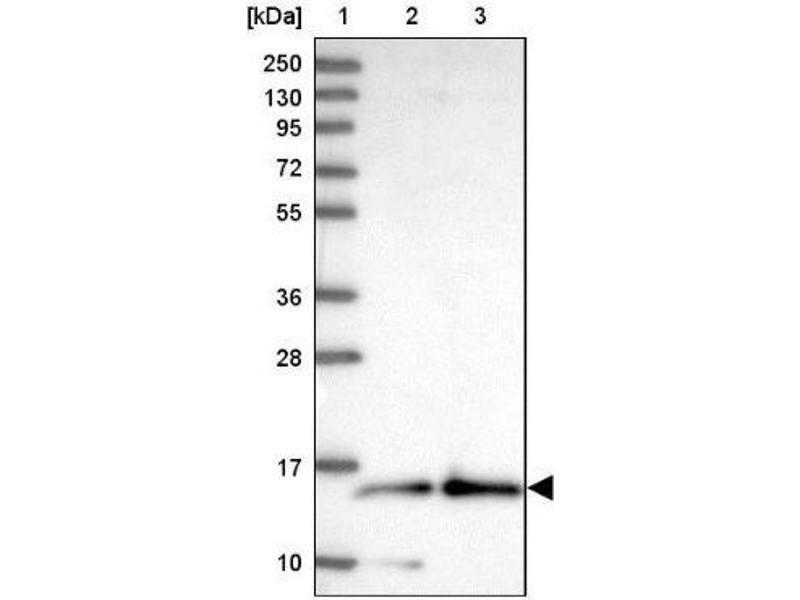 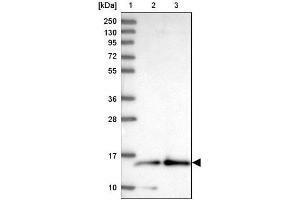 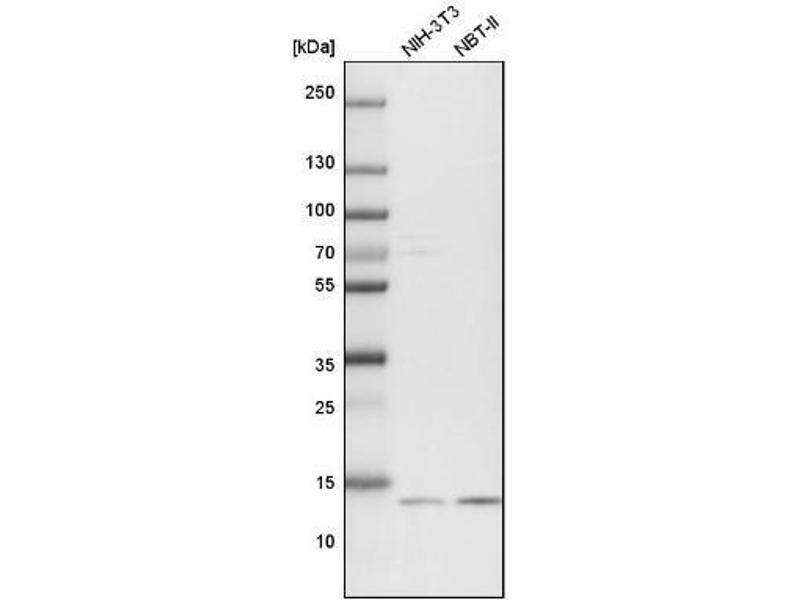 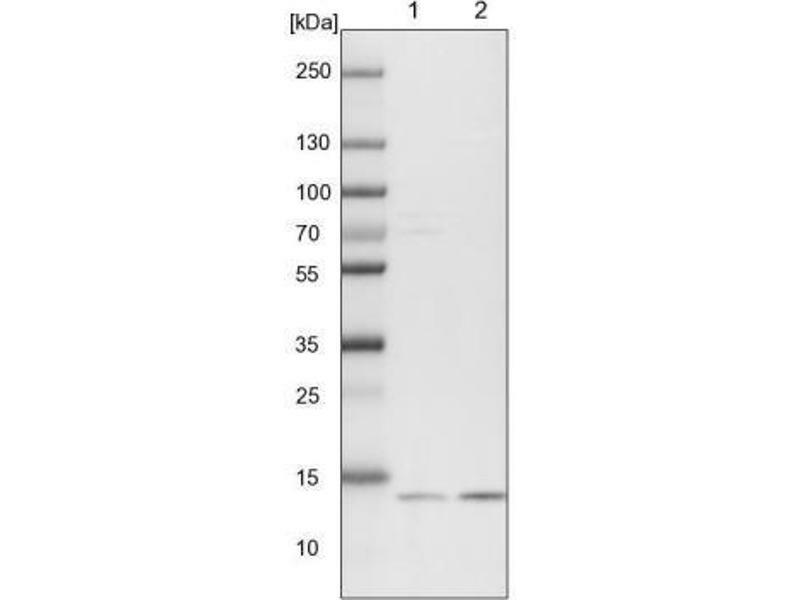 Western Blot: RPB9 Antibody - Analysis in mouse cell line NIH-3T3 and rat cell line NBT-II.